Ace Hose & Rubber Company has a strong commitment to competitive prices and our delivery rates are the most economical in the Chicago area. We deliver anywhere in the continental USA! By offering consistently high quality products for almost 50 years, Ace has created and maintained an impressive record of customer loyalty. Our Customer Service Staff has been enlarged to fill orders fast from an on-hand stock of thousands of items, using the latest in today's sophisticated technology. We have added a comprehensive online SHOP so you may place your orders 24 hours a day, 7 days a week from wherever you have access to a computer. FOR THE CONSTRUCTION AND MANUFACTURING INDUSTRIES. 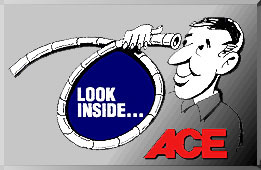 ACE Hose & Rubber Company keeps more than 18,000 Items on hand, with 22,000 square feet of warehouse space for inventory. We can easily fill any need for hoses, couplings, conveyer belting, matting and stair treads. Using the very best personnel, equipment and materials in the industry, Ace fabricates products from most common elastomers, including natural rubber, neoprene, urethane and silicone. Also special cut washers and gaskets from solid sheet or sponge rubber are available. If your needs include hydraulic, air or water hose assemblies they can be made to your specifications by our inside staff while you wait. 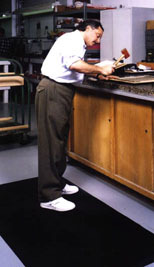 ACE provides more than prototypes and samples, die cutting, laminating and stripping. 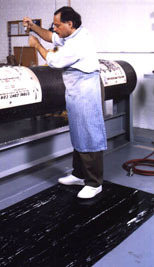 We provide solutions to individual problems by working closely with our customers. ACE is dedicated to earning your business through a combination of top value and fair treatment. Whatever your need, ACE can handle your job economically and quickly. Just call our sales service department and we'll be happy to quote prices for you.